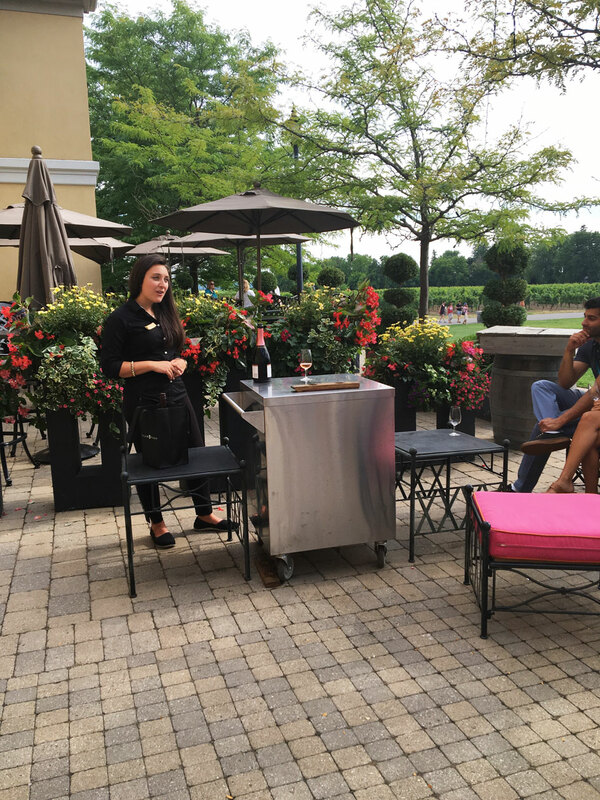 Ice wine is a Canadian specialty, and Peller Estates one of its most acclaimed makers. 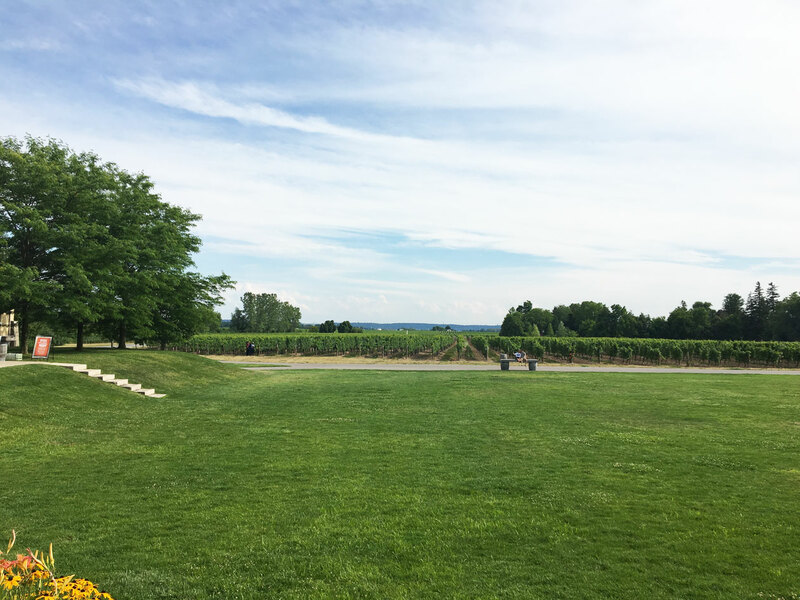 We visited the scenic vineyard to learn more about their famous wine. 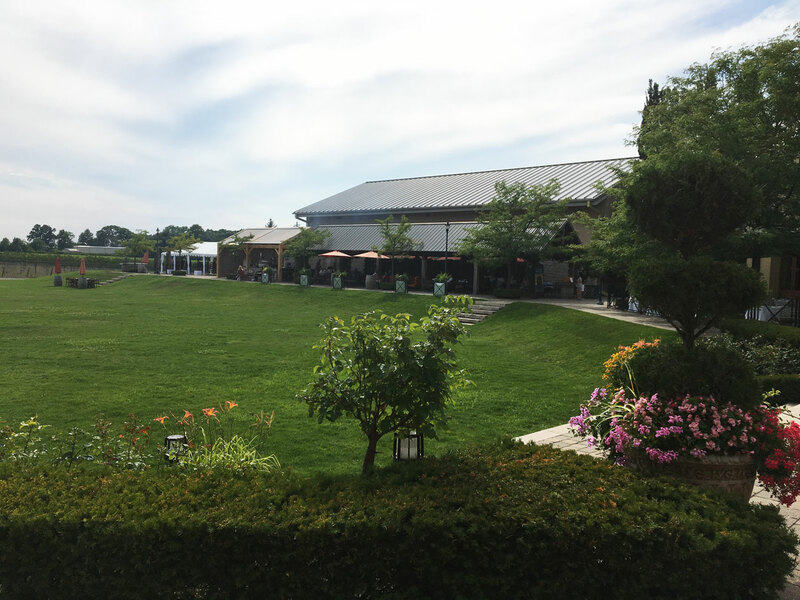 The beautiful estate on the vineyard where we waited for the tour to begin. 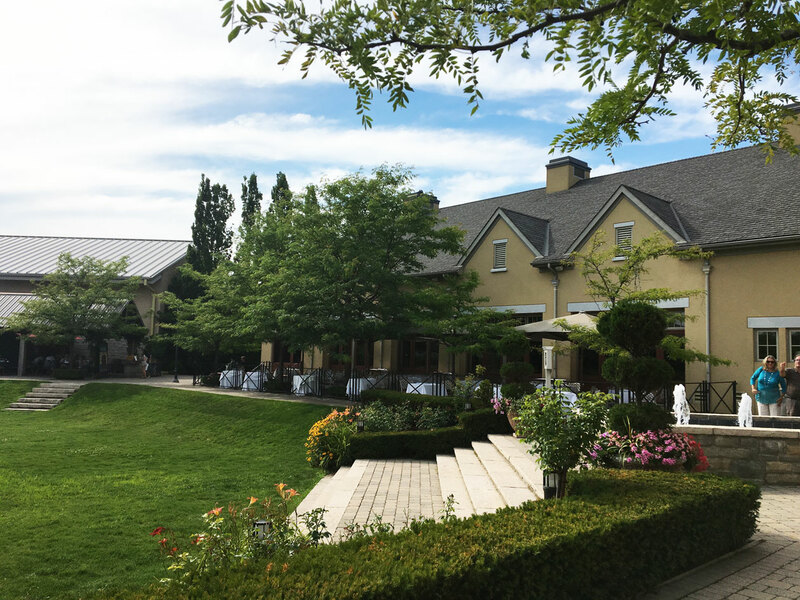 They have a fine dining restaurant where you can go for a meal with a view of the vines. 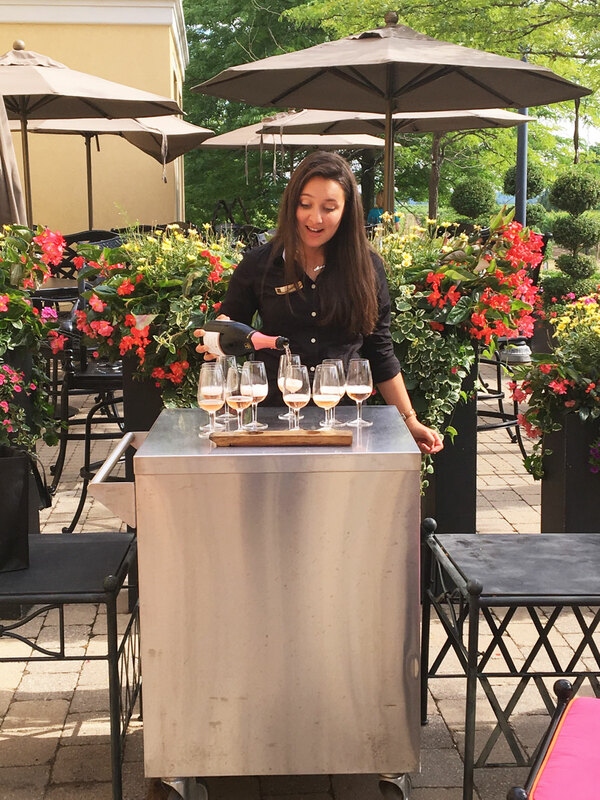 Our winery guide, Alana, pouring out the sparkling rose as she introduced Peller Estates – how all things should begin really. 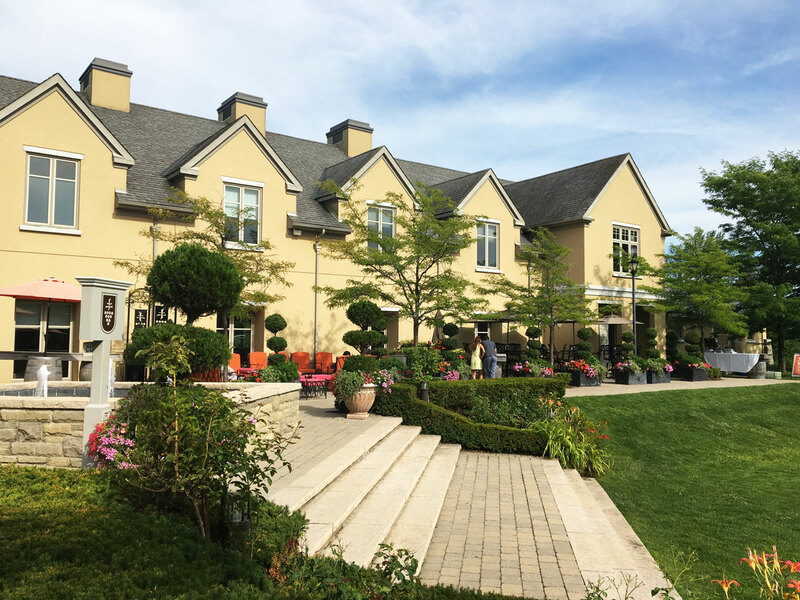 Alana was a charming guide, a student pursuing her masters in journalism who had interned with Peller over many summers and was now a guide. 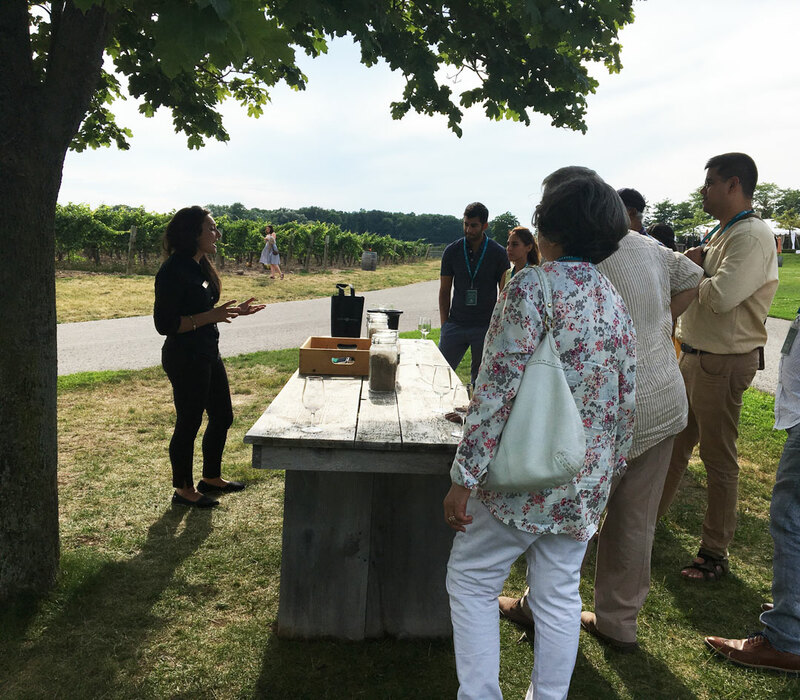 We headed out to the vineyards to learn more about the soil and climate the grapes were being grown in. A little lesson in viticulture out in the field. 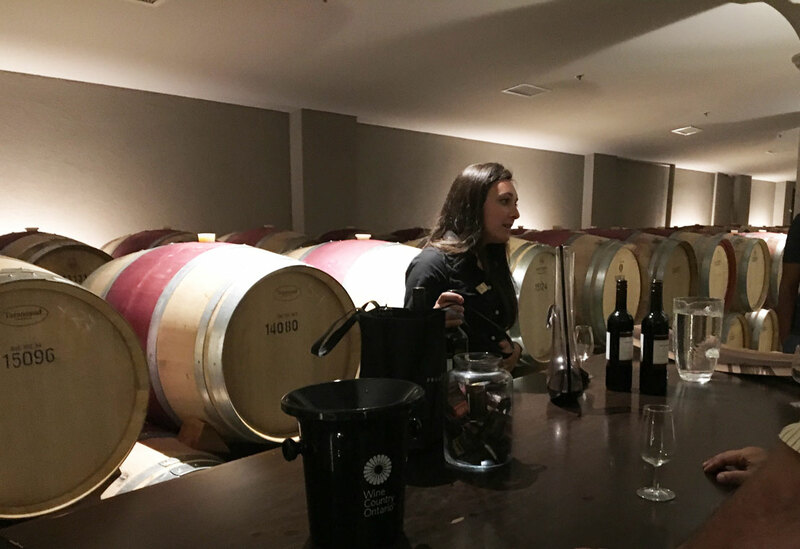 Wine making is delicate enough a process as it is, but with ice wine there are even more factors to take into consideration. With global climate change, temperatures have been even harsher, often destroying whole crops of grapes due to snow storms and blizzards. Makes one appreciate that glass of ice wine even more, honestly. 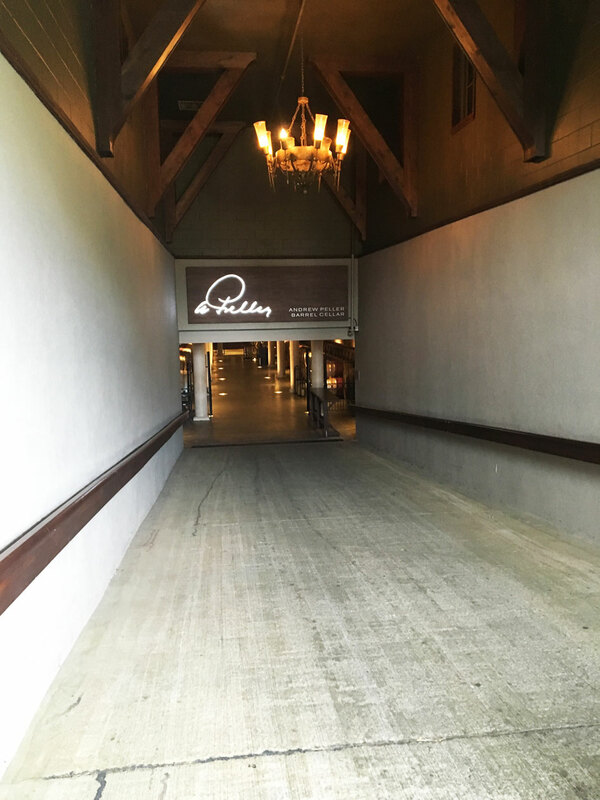 On our way down to the cellar, where the wine is aged in barrels. It was cold and dark and smelt wonderful. 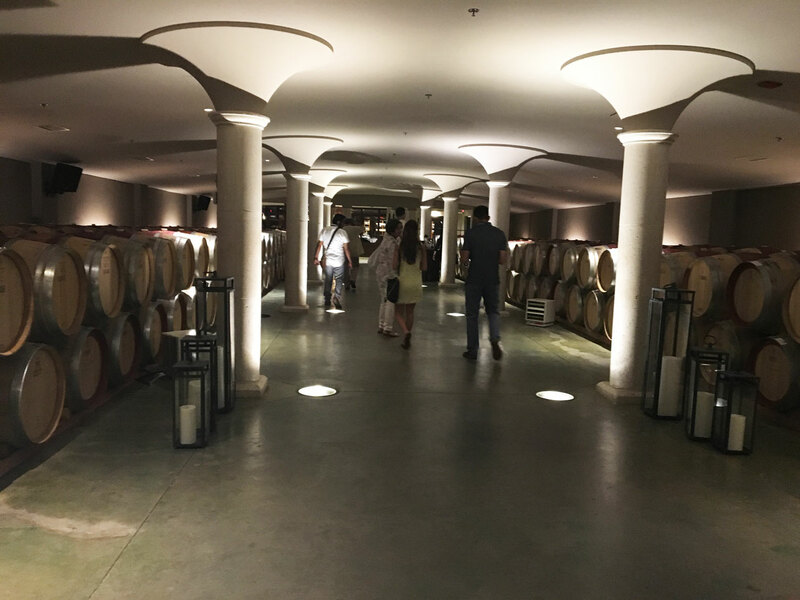 We learnt about wine bodies and flavour notes, tannins and legs, spitting and less pretentious wine behaviour. It was here that I discovered one of my favourite pairings, dark chocolate and dark red wine (in this case Cabernet Sauvignon & Bordeaux). We tried different wines with different kinds of chocolates, but the 70% dark chocolate with a cab was delicious. Together they made each individually taste better! An open oak barrel. 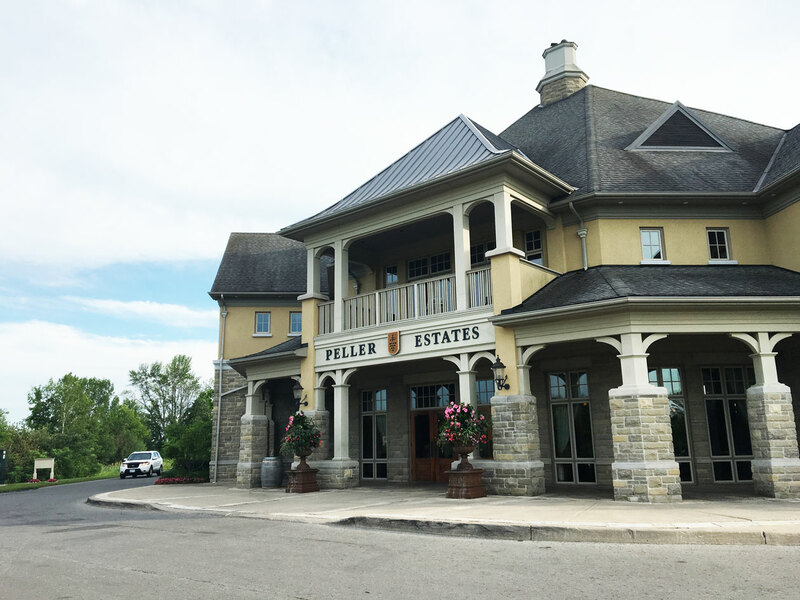 Peller Estate ages some of its ice wine in oak barrels to impart a distinct flavour. 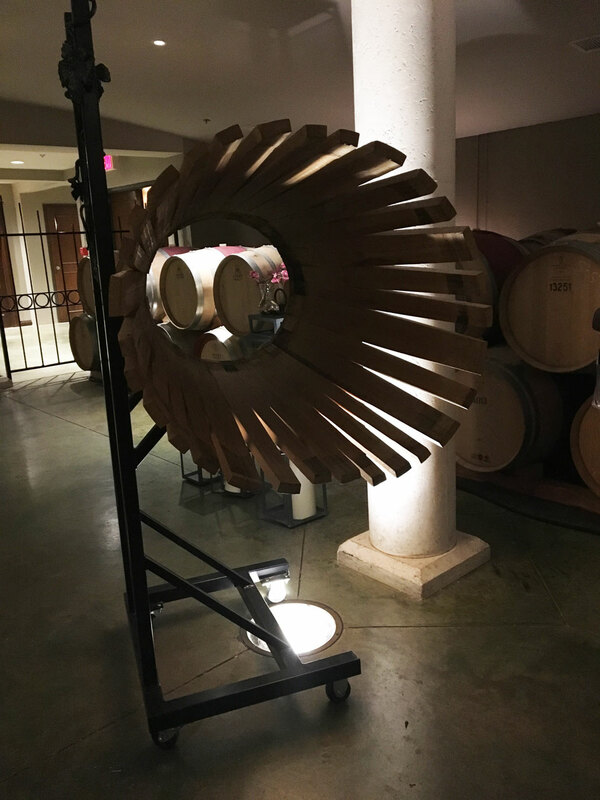 Who knew wood could add so much flavour to wine. 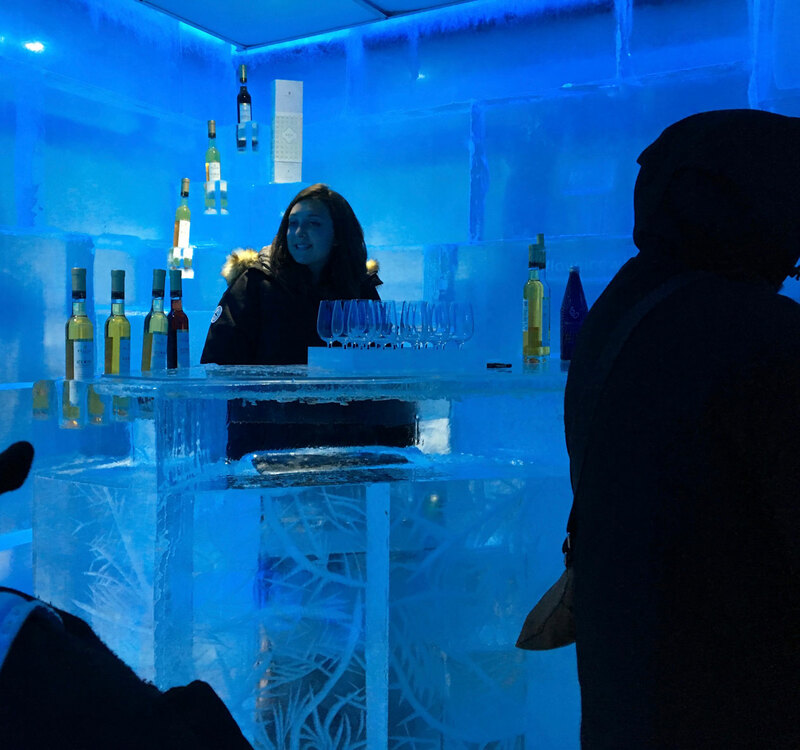 The famous -10 degree ice bar, called 10 Below. We suited up in parkas and gloves before entering. 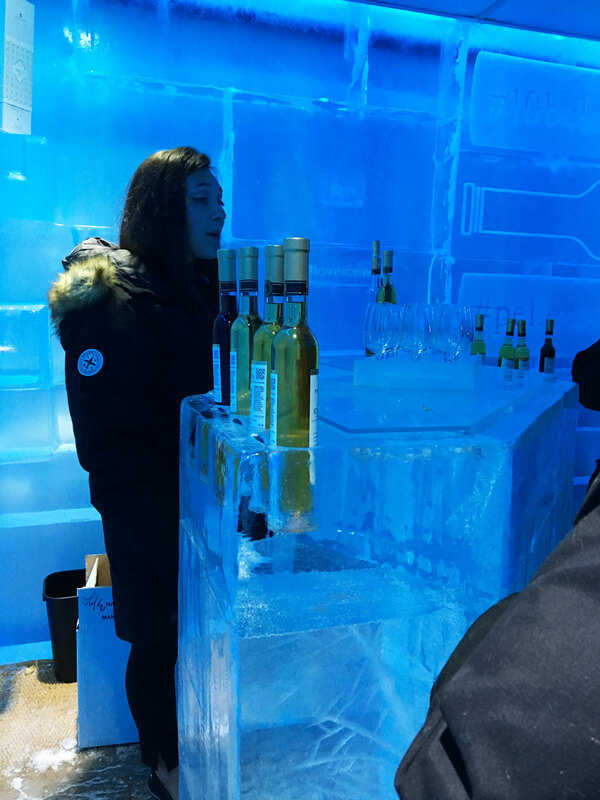 Ice wine is made from grapes that have frozen, except for their nectar (not to be confused with juice). Only the nectar is extracted from each frozen grape and made into wine, giving it a rich, velvety flavour. 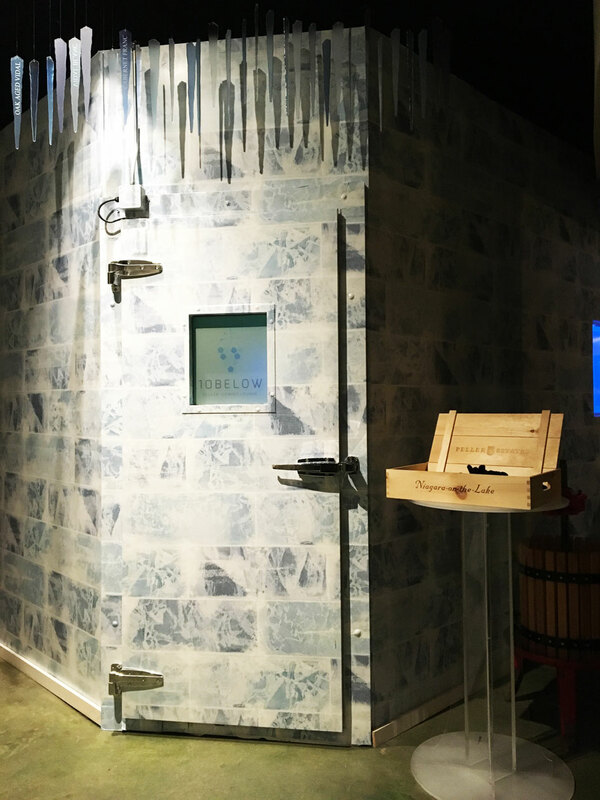 This unusual process of making ice wine explains its limited availability and hefty price tag. My favourite ice wine was the Vidal. It smelt of marmalade and honey, and tasted like citrus and lime and brown sugar and passion fruit. So many flavours rolling around while your taste buds explode. I can definitely understand the hype over ice wine! 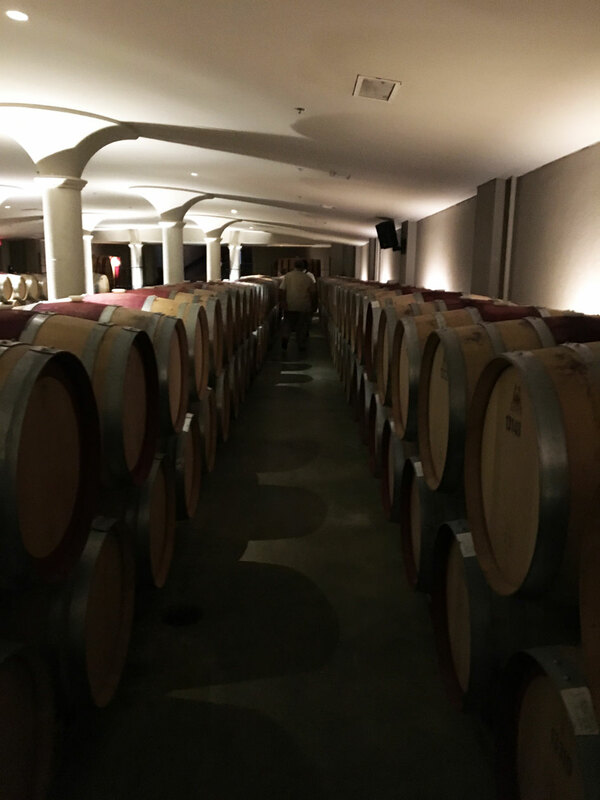 A stroll amongst the barrels on our way out. 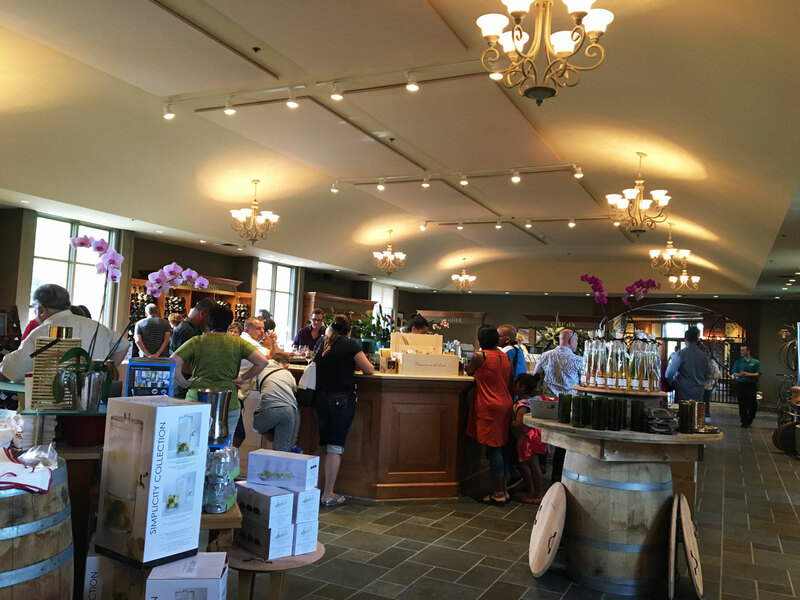 We ended the tour at the gift shop, much appreciated in this case because there was no way I was leaving without some ice wine of my own. Hello Vidal. 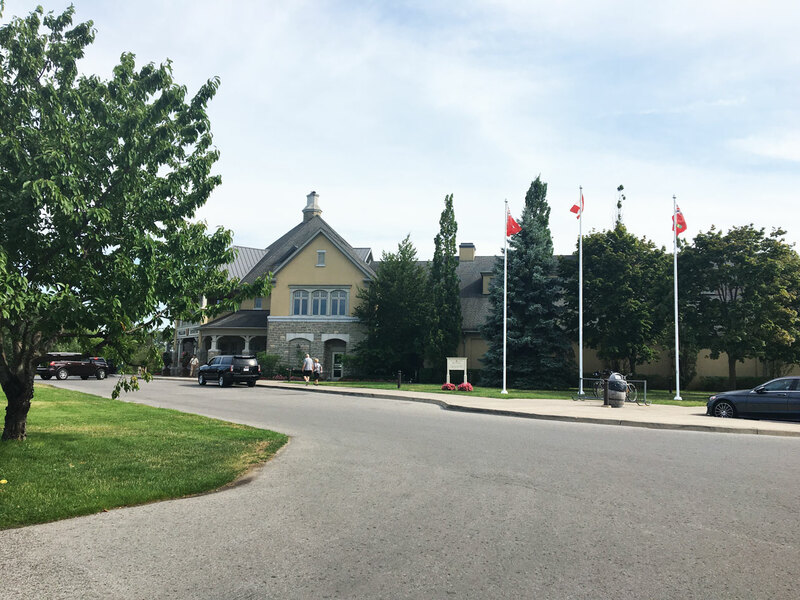 Peller Estates, 290 John St E, Niagara-on-the-Lake, ON L0S 1J0, Canada. Call them at +1 905-468-4678. If you happen to be at Niagra on the Lake, there is an ice wine festival on till the 29th of January 2017. Cheers to that!